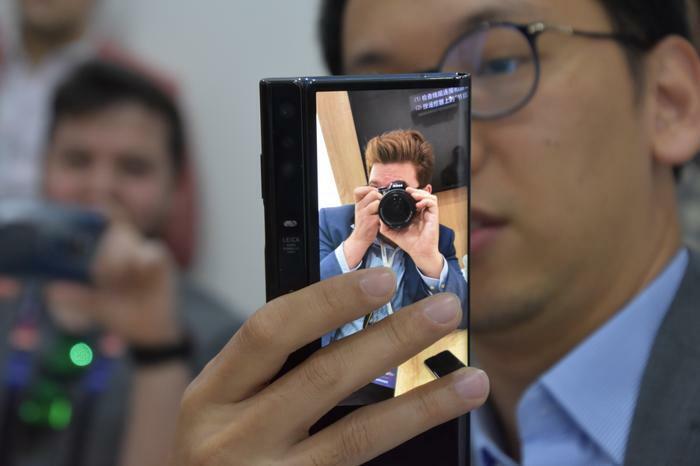 Samsung Galaxy Fold vs Huawei Mate X: Which Will Be Better? More and more foldable phones are being announced with each passing month but there are already two major frontrunners for the category. The Galaxy Fold and Huawei Mate X, both of which are due to arrive later this year. Ahead of their official launches, let's take a look and see which one looks better. By default, the Mate X is an 8-inch tablet with a resolution of 2480 x 2200. When folded, it can be used as either a 6.3-inch with a resolution of 2480 x 892 pixels or 6.6-inch smartphone with a resolution of 2480 x 1148 pixels. When used as a normal smartphone, the smaller cover display on the Galaxy Fold offer up 4.58-inches of screen space and a resolution of 840 x 1960 pixels. 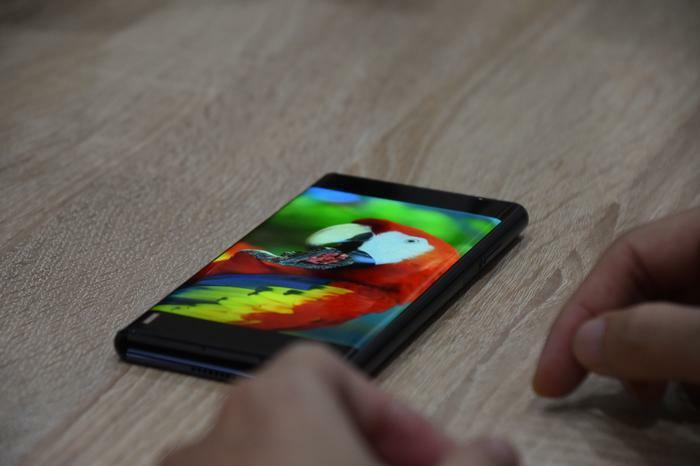 Meanwhile, the larger QXGA+ Dynamic AMOLED tablet-style screen offers a hefty 7.3-inches of screen space. Under the hood, the Huawei Mate X is powered by Huawei's Kirin 980 CPU, 8GB of RAM and 512GB of storage. No word yet on whether this will be expandable via Huawei's NanoMemory format. Under the hood, the Galaxy Fold has a 7-nanometer Exynos processor, 12GB of RAM, 512GB of on-board storage. Unfortunately this is not expandable via MicroSD. The Huawei Mate X uses an external fold design that wraps the display around itself. To look at and handle, it’s super slick but it’s unclear how durable the device will prove over the long haul. The Huawei Mate X also features a 4500mAh dual-battery system that supports fast charging speeds of up to 55W. There's also a side-mounted fingerprint sensor built into the power button of the device plus Huawei's own 5G chipset: the Balong 5000. The Samsung Galaxy Fold boasts an internal foldable display. Essentially, it folds in on itself like a book. Even if this design does result in a more bulky form-factor relative to the Mate X, it does suggest the Galaxy Fold will be more durable. The one other here is that the larger screen inside the Galaxy Fold does boast a pretty noticeable (if quirky) side-notch. Still, like it's Huawei counterpart, the Galaxy Fold boasts side-mounted fingerprint sensor. As for the battery, the Samsung Galaxy Fold also a unique dual-battery power system to the sum of 4380mAh and also offers support for regular wireless charging and Samsung’s take on reverse wireless charging (called PowerShare). The final piece of the picture here is the triple-lens Leica camera on the device, which is built directly into the Mate X's hinge. It's not clear whether this three-camera system is the same as the one found in the Mate 20 Pro or closer to the more powerful one found in the P30 and P30 Pro. Regardless, we expect Huawei to leveraging their Leica-built photography hardware as a point of difference over rival foldables both now and in the future. With a staggering six camera lenses total, the Samsung Galaxy Fold doesn’t mess around either. There's a 10-megapixel (f/2.2) cover camera, a dual-lens selfie cam (10-megapixel f/2.2 + 8-megapixel f/1.9) and a triple lens configuration on the back (16-megapixel f/2.2 + 12-megapixel f/1.5 & f/2.4 dual-aperture + 12-megapixel telephoto f/2.4 + ToF). While Samsung’s South Korean customers will be sold a 5G-ready version of the Galaxy Fold, the version of the company’s first foldable that’s coming to the US and European markets (and also, presumably, Australia) appears to only offer up 4G LTE connectivity. Though the Mate X seems to sidestep any potential app compatibility issues by simplifying booting up the tablet version when unfolded, one thing that should be noted is the limitations around multitasking. Our demo saw the Mate X juggle two applications reasonably well but Samsung's Galaxy Fold can handle up to three applications at once. In fairness, I'm not 100% certain that fitting three applications onto the Mate X's 8-inch display would make that much of a difference in productivity but it should be said that Samsung seem to have considered this possibility where Huawei haven't. 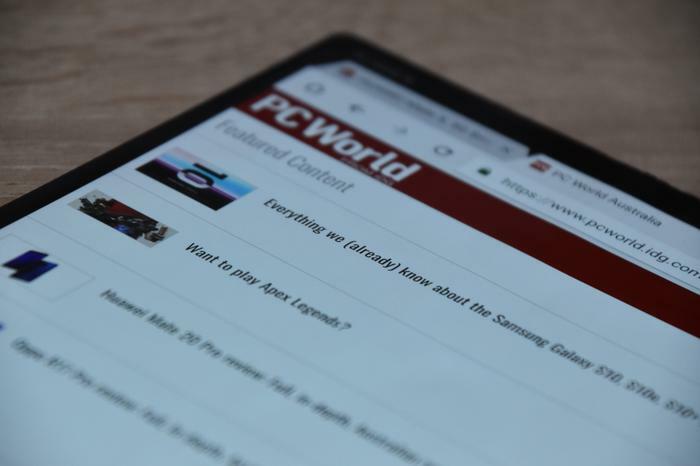 Given the software challenges presented by foldable form-factors, Samsung say they're actively working with Google to kit out the Galaxy Fold with a specialized software UX that brings support for multi-window operation and app continuity. We haven’t had the chance to see what the results of that collaboration look like first hand but you can have a Samsung-approved preview of what the experience of using the Galaxy Fold is supposed to look like in the video below. We’re not willing to commit to either camp fully just yet but, based on the information we have we’re leaning towards Huawei’s Mate X. 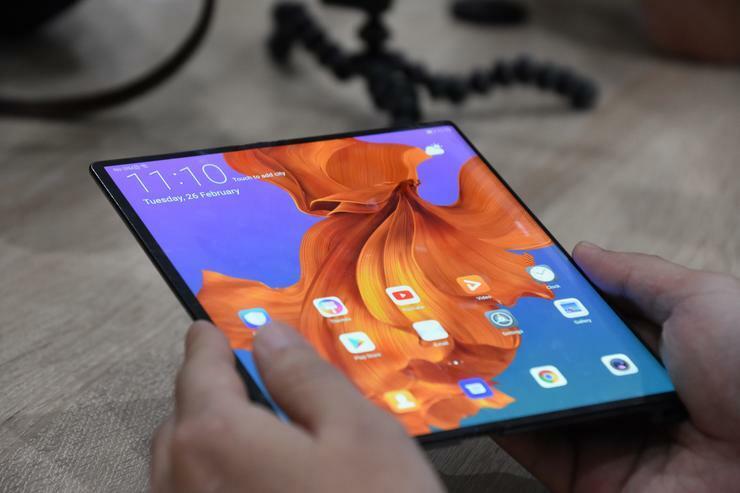 Even if the software experience might lag behind and the design might not be as rugged or durable as Samsung’s Galaxy Fold, the Mate X looks - and feels - like the future. Based on recent history, the triple-lens Leica-camera here is sure to be better than Samsung’s counterpart and the included 5G connectivity does add a layer of future proofing that the Galaxy Fold won’t have.